News! Everyone wanted to know the latest news. The Allies were winning the war in Europe, how long till the war is over? If you were fortunate, you had a basic radio to huddle around. The main source of news was the newspaper, delivered by the paper boy. I must have been ten or eleven years of age when I joined that elite band of youngsters who braved all weather conditions, none of today's wet-weather gear, to deliver the news on a regular basis to most households. 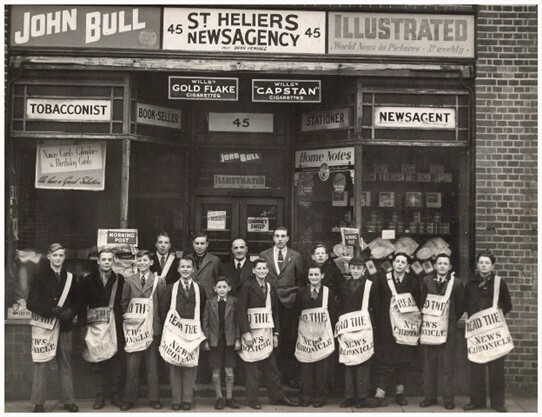 The newsagent that I and about fifteen other boys worked for was St Helier Newsagency, which was in the row of shops,on St Helier Ave, between Boxley Road and Arras Ave. I believe the plot of land between Arras Ave and the shops has now been built on and called Connaught Gardens. The Newsagency was managed by Mr & Mrs Pennale, a wonderful couple who looked after us boys like their own. For me, and I suspect all the others, it was out of bed, or the air raid shelter by 6.30am and down to the shop by 7.0am. No cars or bikes, all 'shank's pony'. Usually, the papers for your round had been marked up, by the markers who had been in much earlier, and it was all systems go to complete your round and get home ready for school. I was fortunate in having a round which started at Arras Ave and took in most of the houses between there and the end of Ravensbury Ave. Some of the other lads went as far as Middleton Rd, carrying bags of newspapers. I remember that I must have been doing my round during the last few months of the war, because I would quite often return home loaded with shrapnel and 'window', dropped by enemy aircraft to confuse our radar,. My poor mum would often wonder what I would bring home next! I loved the early mornings, and still do. The streets were quiet, remember most men were in the Forces and it was the women who worked in the factories, after getting the children off to school. Winter was tough! Clothing not very adequate and snow would be deep. The wonderful part, for a young lad like me, was to be the first person to leave tracks in the snow or see the mystery tracks left by some unknown creature. To collect windfalls (apples etc) which one of my customers may have left out for me after her trees had shed their fruit. Hard times but, in many ways, great fun for us kids. Round finished! Home, attempt to get warm, change clothes (not much choice) and see if Mum (bless her) had managed to put something together for breakfast, the regular spoonful of cod liver oil and malt and if lucky, some porridge with syrup. I must add that we were very lucky to have Len's Cafe next door to the newsagent and he was very kind to us all. Even arranging a Christmas Party, photo supplied. Remember, rationing was still in place, most of the men were either still in the Forces or returning home to try and resume a home life and not knowing what they will find. Hard times ahead for everyone! This page was added by Beverley Walker on 25/05/2016. I was also a newspaper delivery boy for a shop in the parade near St Helier's Hospital. It was named The Major and run by a Donald Pleasance look alike. 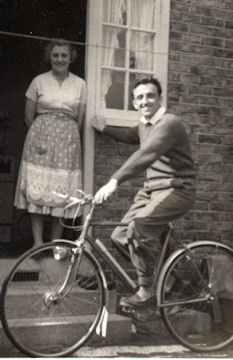 It was an August day in 1956/7 and can remember getting up at 6.00am on my first day, cycling to Rose Hill from my Love Lane home and starting the round at 6.30am. It was early dawn, a crescent moon was shinning bright in a clear blue sky and a very bright star(Venus no doubt) was very close bye. My round took in roads close by the hospital and would take me an hour and a half to complete before cycling back home for a quick breakfast then off again to Tweeddale school a ten minute ride away. It always amused me delivering a Daily Mirror to a Doctor Beven in Rythe Lane not one of the upper class newspapers as you would expect. 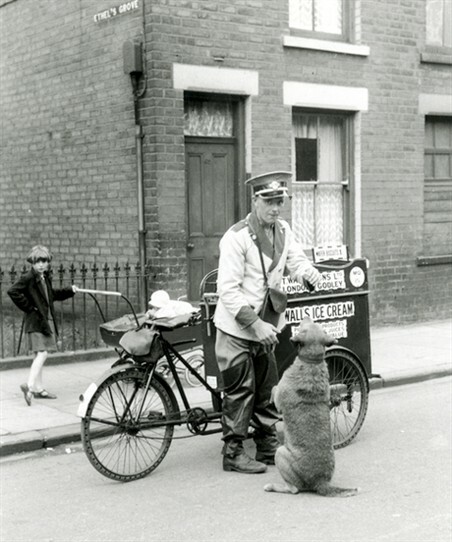 Then in 1956/7 new laws came in to protect children from starting work before 7.00am which upset quite a few of us paper boys making it a rush to finish the round, grab a slice of toast then cycle like mad to get to school on time. Thursday was a double delivery day as the Radio Times had to be delivered directly after school as the weight was twice as much as the morning round making it impossible to carry. 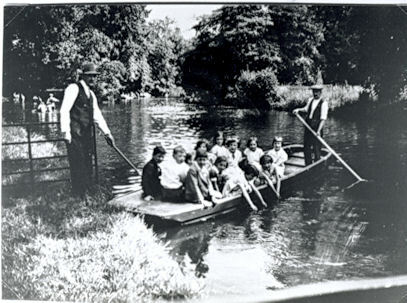 And yet I still look upon it as a very enjoyable period during my school days especially when picking up my eight shillings and six pence pay packet. 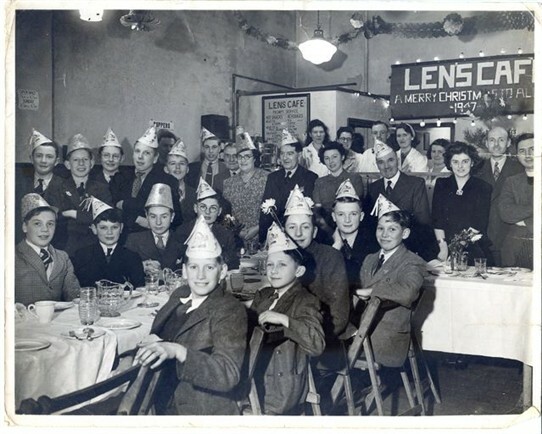 When Christmas arrived all paper boys went round in the evening to collect Christmas boxes which could total three or four pounds and can still remember the thrill of counting it when arriving home. Usually folk would give you one or two shillings. During the round I would have a chat with another paper boy named Ernie Winters and have often wondered what happened to him.